In my last post I talked about my self made scale. 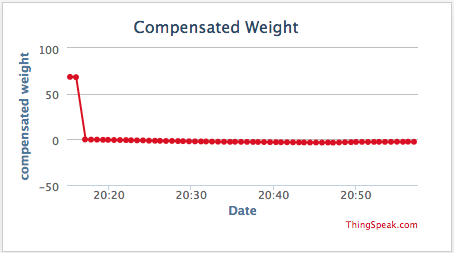 There are plenty of applications for a sensor that can sense the weight of things. But I guess the scale should not be tared (or set to zero) every time the ESP8266 wakes up from sleep. The load cell is basically a resistor that reacts to tearing and pushing of the metal bar. But like all resistors, they are prone to temperature drift. 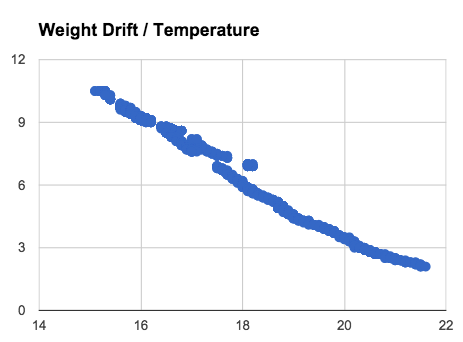 This means if I want to measure the weight of an object over a long time it either has to be under constant (room) temperature or I compensate for the drifting readings from the sensor by measuring the temperature and correcting the drift by software. Looks pretty good to me! I am aware that I made some possibly wrong assumptions, but hey, this is hobby science and pragmatism is all I can afford with the little time I have for this project;-). 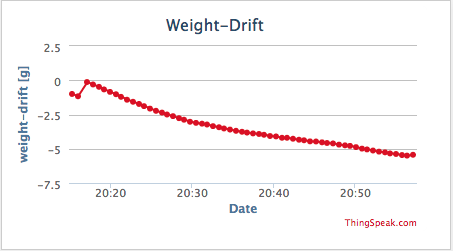 It look very promising, but the Compensated Weight curve does clearly show the result. 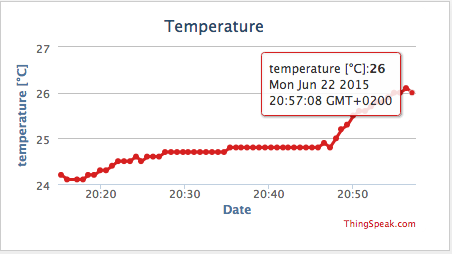 Hi Dani, are you using some table for offset in each temperature point (previously measured) or you are using some function derived from the measurement ?